My skin has never been the best. I've probably said it a million times before on this blog, but I have really bad oily skin, acne scars, spots, enlarged pores and just generally unhappy skin. Over the past few months however, I've seen a drastic improvement in it. 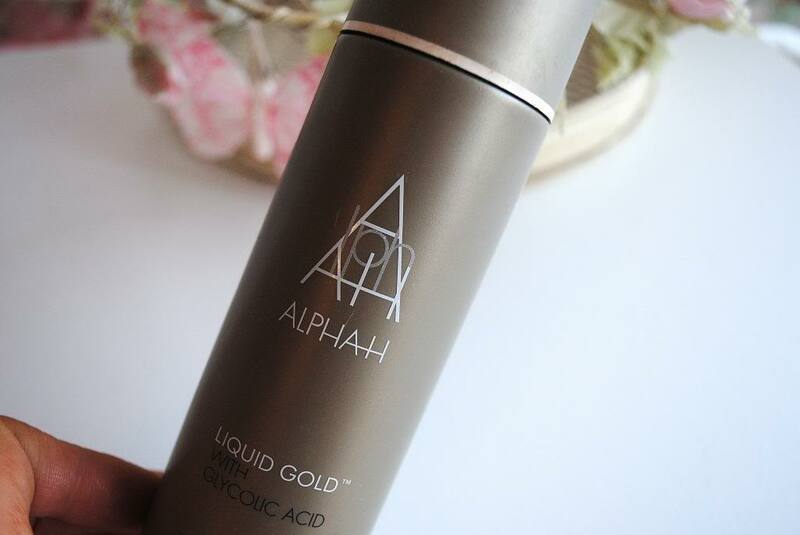 Some products I definitely have to thank are from the Simple Oil Balancing range I reviewed a bit ago, but another complete and utter skin saviour I've recently discovered is the Alpha H Liquid Gold. I'll be honest, the main reason for me purchasing the Liquid Gold was definitely down to all the hype surrounding it. I'd heard a plethora of outstanding reviews for it, seen the popularity in the blogosphere and completely bought into it. But I'm so glad I did. I bit the bullet and purchased the 200ml version via QVC after doing some shopping around and finding this to be the cheapest - considering some shops are selling the 100ml version for £30 I think I found a pretty good buy! To be honest, I wasn't entirely sure what I was getting - was it a foam, a lotion? To my delight I found it is simply a clear liquid, rather like Clean and Clear in appearance (but that's definitely where the similarities end - I cannot STAND Clean and Clear) which you simply pop onto a cotton pad and apply to a (clean) 'face, neck and décolletage'. It recommends doing this 'each alternate evening', following with moisturiser/serum, or, for an 'intensive treatment' to leave the skin as is. After using the Liquid Gold for several months I have to say, I'm suitably impressed. I wanted to try the product as I'd heard it was brilliant at exfoliating the skin, getting rid of blackheads, improving the skin's overall texture and getting rid of spots and acne scars. It definitely ticks all of these boxes. Over the past few months my skin has most definitely improved - I know for a fact the Liquid Gold has been a major contributor to this. The morning after applying it I always see an improvement - my skin looks clearer, feels MUCH smoother, blackheads are reduced twofold and any spots I have are also reduced. Since using it all the blackheads in my T-zone seem to have started disappearing, and any scarring I had is also vanishing. Now, I'm not saying this is a miracle product, and it is by no means a 'quick fix' for bad skin, but it is most definitely a product that works. I am so much happier with the texture and overall feel of my skin now - yes, I still have spots, blackheads and scarring, but it is greatly reduced and I feel a lot happier about how my skin now looks. A key ingredient in the Liquid Gold is Glycolic Acid - which helps speed up exfoliation and get rid of dead skin cells, with it improving wrinkles/skin's texture/any scarring. I have heard mixed things about Glycolic Acid so it's probably best to do a little research into it before buying the product, but I have nothing but good things to say about it. 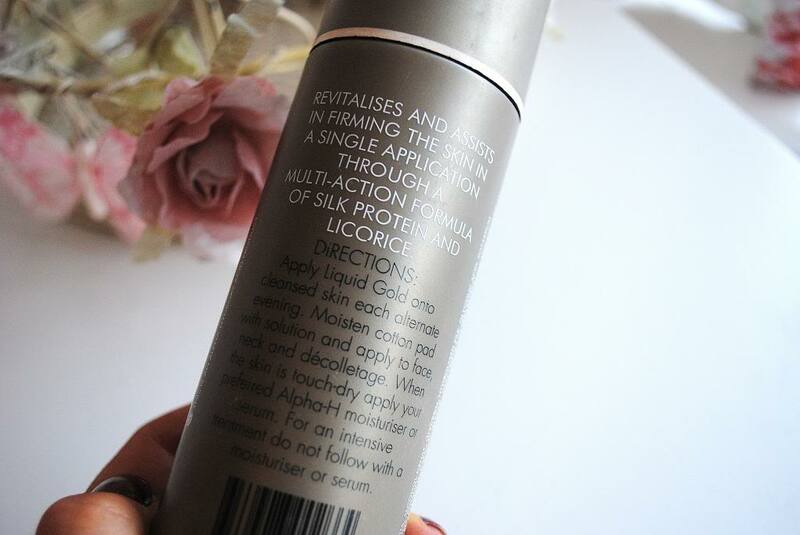 I think if you are looking for something to improve the texture of your skin, this is definitely the product for you. I have looked into Chemical Peels and Microdermabrasion, but for a snippet of the price I would definitely give this baby a try first. One thing I will say, however, is that if you have sensitive skin I'd be a bit wary about using this product - as it can feel a tad 'harsh' on the skin. It doesn't bother me at all though, and is nothing compared to products like aforementioned Clean and Clear - which completely BURNS my skin and I will never, ever use again! I am so happy with this product and will definitely be repurchasing once my bottle is all used up! 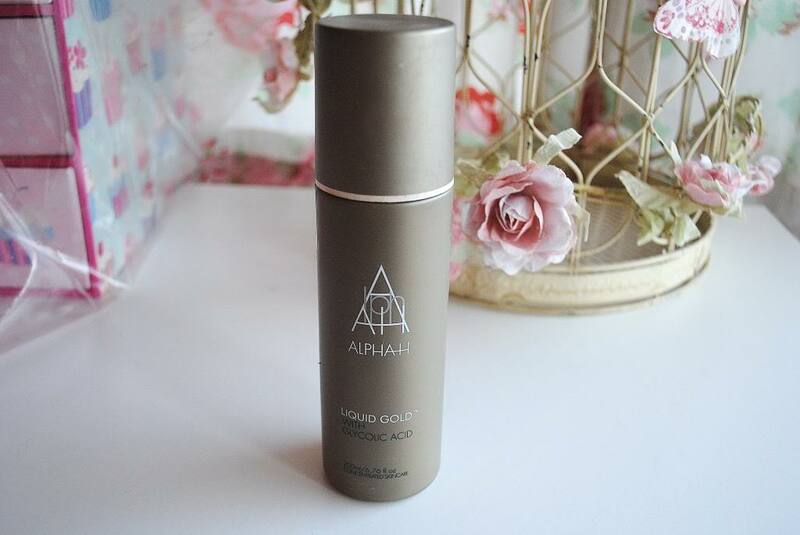 Have you tried Alpha H Liquid Gold before? What did you think to it?